Martha Berry writes about the splendid apartment building that Mr. Markle has bought, and she invites him to visit Berry. 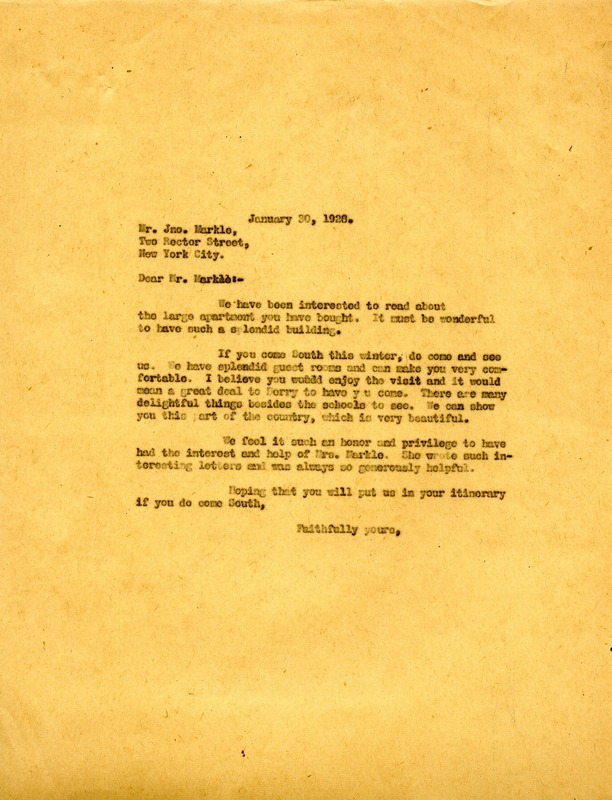 Martha Berry, “Letter to Jno. Markle from Martha Berry.” Martha Berry Digital Archive. Eds. Schlitz, Stephanie A., Chelsea Risley, Alan Henderson, et al. Mount Berry: Berry College, 2012. accessed April 19, 2019, https://mbda.berry.edu/items/show/8365.